Ah yes the never ending need of my hormones is a quick sugar fix! Doing the grocery on a pay day, this red box caught my eye. Yup, the power of the color red works everytime! 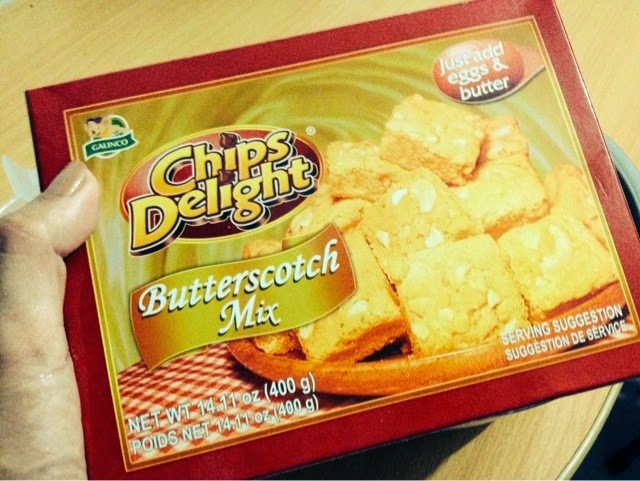 Butterscotch brownies with just adding butter and eggs, hmmmm. So I tried my luck and purchased it. 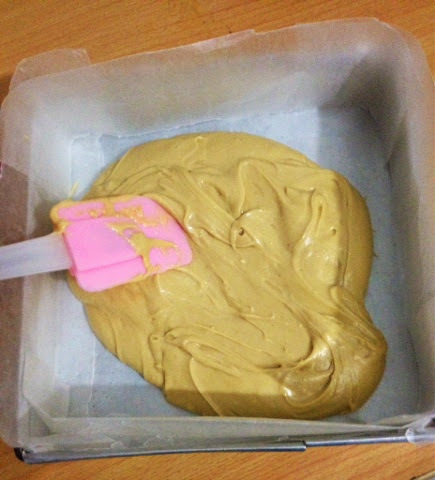 Only today that I was able to actually go ahead and bake. 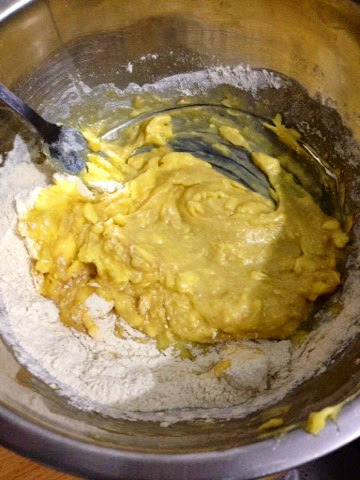 I did find it convenient and it seems that the mix was pre-sifted as well. 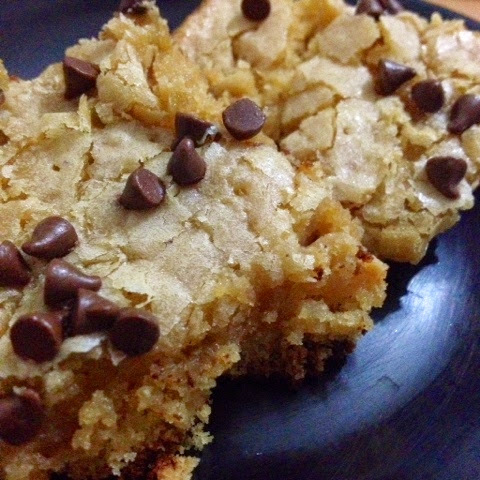 Don't get me wrong I do like baking from scratch of course but I just couldn't resist something quick and easy. 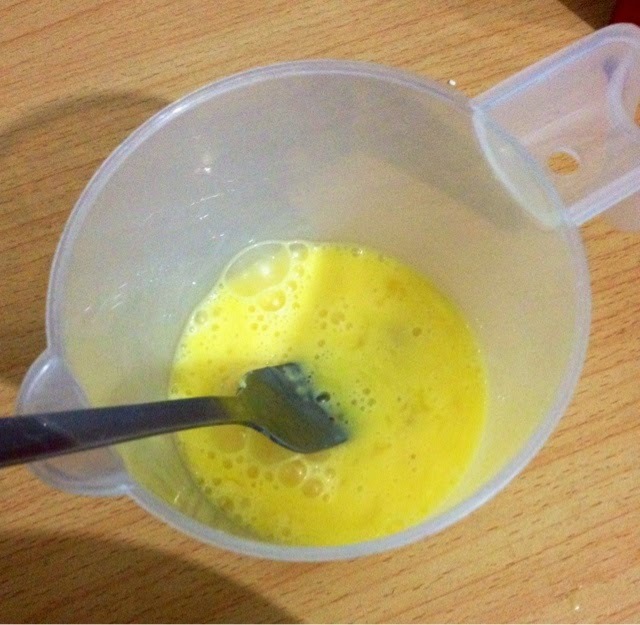 Creamed a cup of butter. 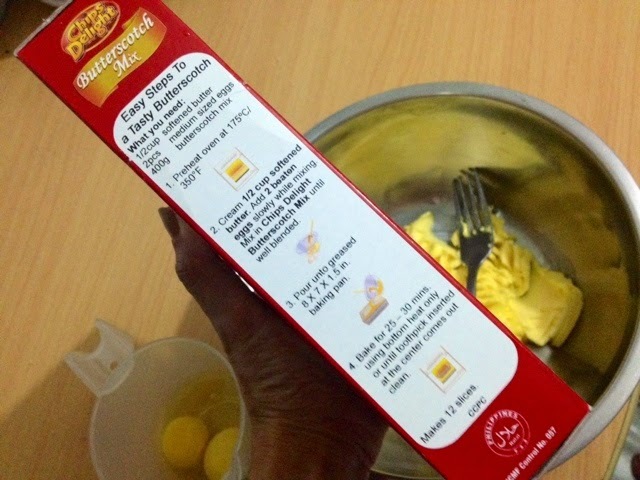 Gradually add 2 beaten eggs (yes, beat them first) part by part that is. 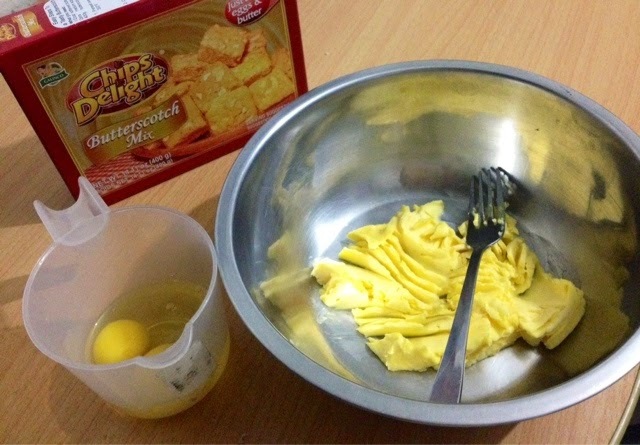 Then add the Chips Delight Butterscotch Brownie mix, interchanging with the eggs. 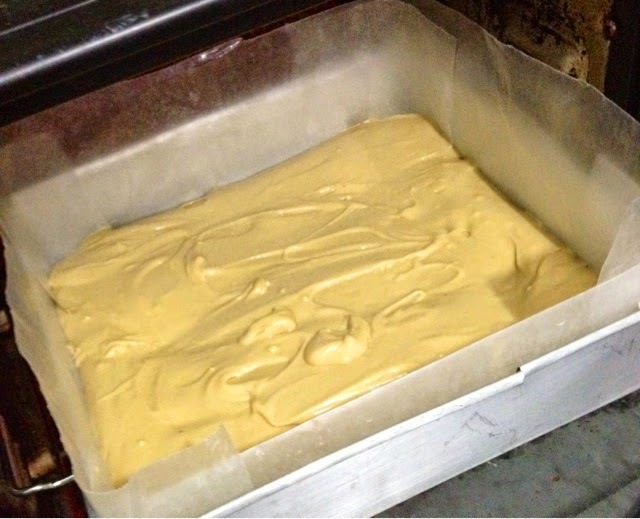 Line or grease a pan, in this case I used a 8x8 pan. I line, for a much more easier clean up. 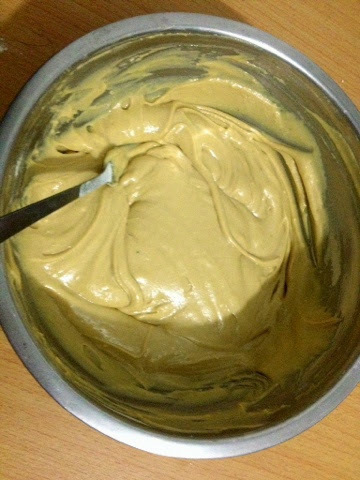 You need to spread out the batter with a spatula since it's pretty thick. 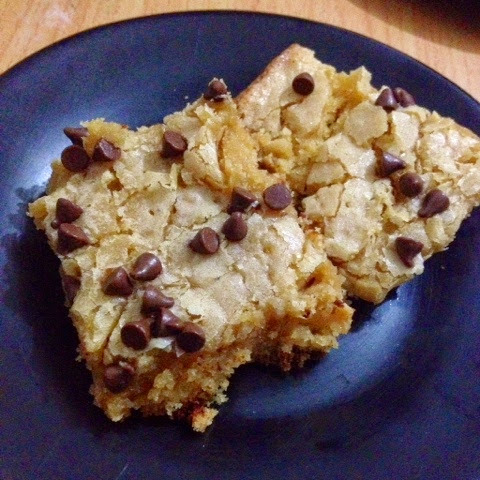 I added chocolate chips midway of baking so it wouldn't be so plain and the result was great although I kinda slightly scorched the bottom because of the oven settings, in total they were wonderful! 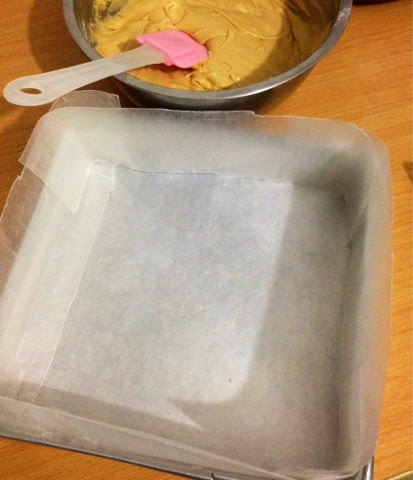 Chewy in the inside, the whole tray of brownies vanished in an hour!